Only an idiot would argue no one can be spurred to violence by a video game. Pair two already troubled online players against each other, throw in a little taunting, then wait for the gunfire. This means an American is about 300 times more likely to die by gun homicide or accident than a Japanese person. "Americans play the same video games, watch the same TV shows and experience mental illness at the same rates as our peers in other high income nations," founder Shannon Watts [of Moms Demand Action] said in a statement to CNN. "What separates America is our weak gun laws and unacceptable rates of gun violence. 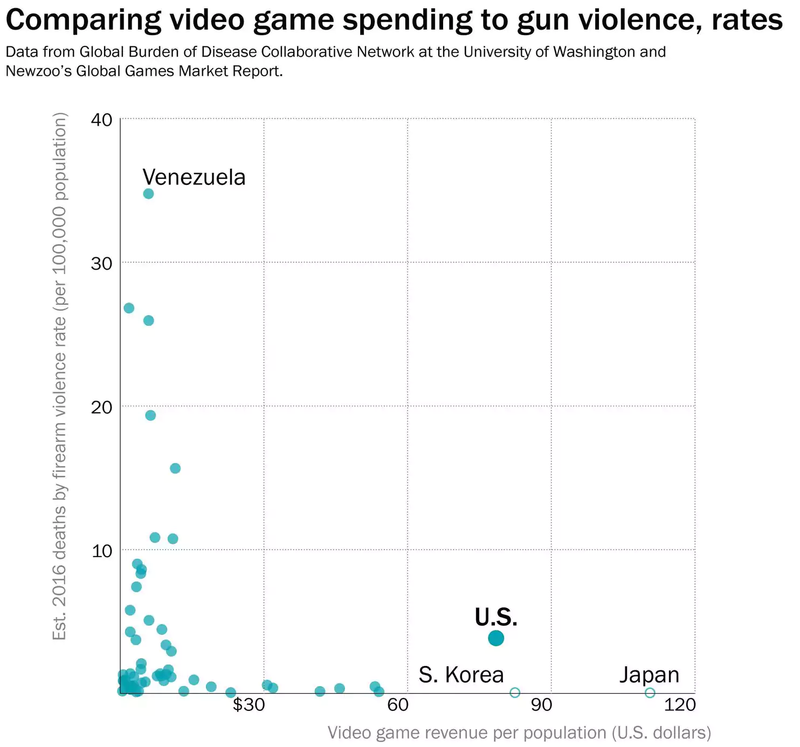 Americans want action on gun safety, not video games."